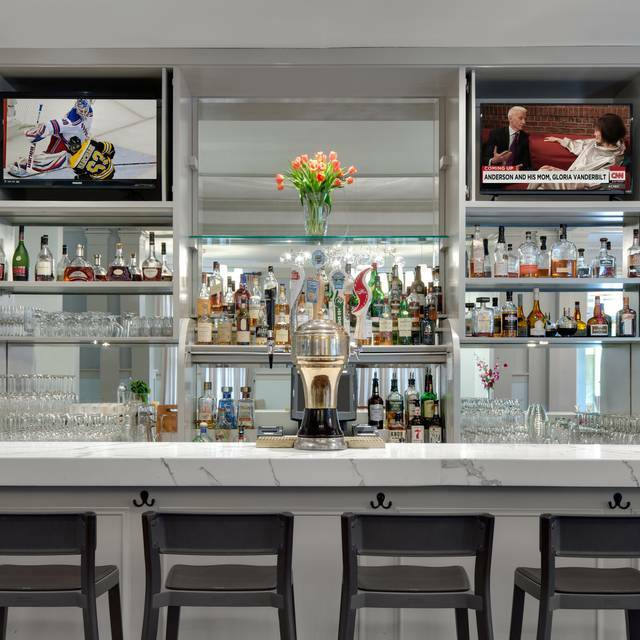 Flavor and freshness define the boutique American dinner bistro that is One Bellevue. Experience modern culinary treasures of both land and sea on a healthy and inviting menu prepared by our talented Executive Chef Simone Ferrara. 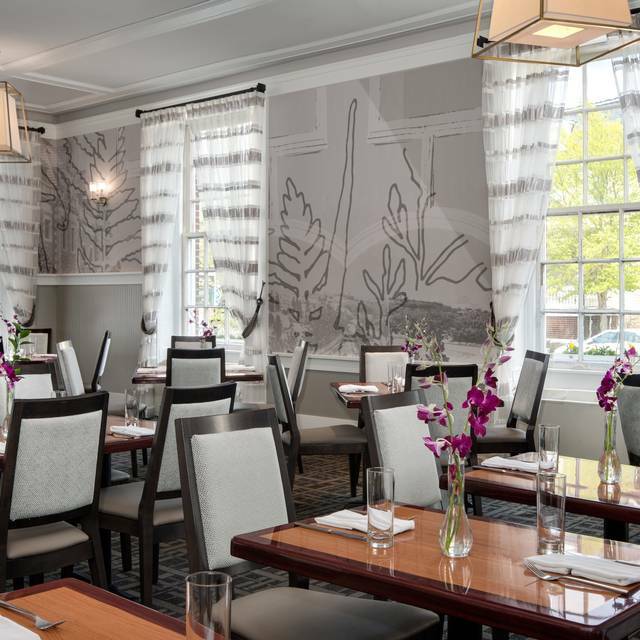 Attentive service, sophisticated surroundings, award-winning wine selections, creative cocktails and food influenced by New England Cuisine identify the feel of this One, unique, Rhode Island dining destination. Outdoor catering available with certain seasonal restrictions. 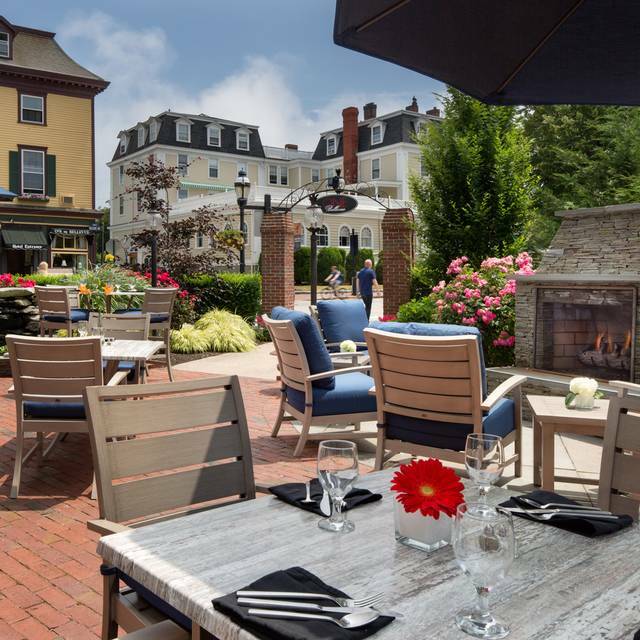 Patio receptions, planned wine dinners, chef's tasting menus, seasonal pre-fixe menu, limited dinner and lunch menus, custom menus created to suit guest and group needs. Enjoy! My first time eating here, and I will surely be back! The butternut squash soup was a delicious starter, the arugula and quinoa salad with salmon was fresh and light, and the roasted vegetables were done to perfection. The wine selection was more than sufficient, and the kids’ portions were generous. I’ll be back! Impeccable! The manager and waitstaff care about your every comfort. The atmosphere is relaxed and cordial. The food is always wonderful. A place where everyone can feel well taken care of. We had a lovely time. The outdoor patio with the fireplaces was very nice! The staff even brought me a blanket when the sun went down. The food was delicious and arrived in a timely manor. Overall, a great experience! We loved the grand seafood chowder. Lobster, scallops and shrimp in a light sauce. I had fish and chips. Batter fell right off so you could have it either way and it was delicious. Husband had lobster roll and it was good. Nice, upscale, quiet restaurant in the Hotel Viking in Newport. We have been regulars on the patio during the summer for years. We would come at least once a week in the summer. The food was always fantastic downstairs- high quality, fresh, and flavorful. Even the fries used to be a thick twist of potato with sea salt, they are bland regular fries now; the burger used to have a thick slice of cheese from the local cheese shop, it’s bland now, and so is everything else. It was just ok this time. We were so disappointed. EXCELLENT SEVICE BEAUTIFUL LOCATION WAITRESS WAS SO NICE THIS WAS OUR 42 Anniversary DINNER SHE WAS VERY FRIENDLY OUR DESSERT WAS ON THE HOUSE. I HAD THE BUTTERNUT SQUSH RAVIOLI AND LOCAL OYSTERS SO FRESH. Loved it!!!! Thank you so much for accommodating us!!!! Great food and service, would like to see more seafood options, since near the ocean. It was expensive keep that in mind. Loved it! Will definitely be back!!! Tomato soup was outstanding. The duck was the highlight of the meal. Will return for sure. Recommended! Went there for jazz brunch on the last day of our Newport getaway. The cocktails were mediocre and the only good thing about the food was the potato patty. I'm pretty sure the only thing freshly made to order were the eggs. I even heard one of the servers tell another table that they were pretty busy that morning and ran out of pancakes (doesn't sound like fresh made to me). The music was really nice, and I wish the food had matched. 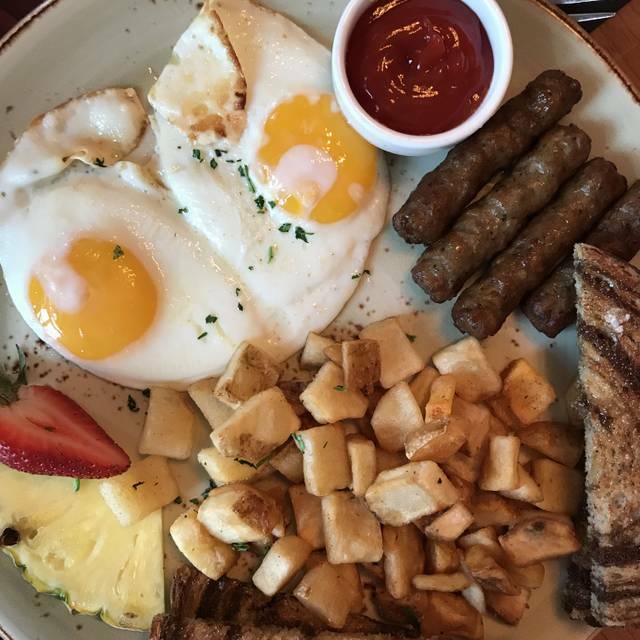 You would think that paying $70+ for brunch (included two cocktails) would mean a quality meal but that wasn't the case. The service was very good as were the menu choices. Had afternoon tea. It was delightful! Service was great! We had a mixed experience at One Bellevue. The oysters and chowder were excellent, if you have nothing else there have the chowder, it's outstanding. The charcoal duck was also very good. My steak however was overcooked and cool, I ordered it medium rare and it was past medium, and even though it was overcooked it wasn't warm. We were there early, 5pm, so the restaurant was fairly empty at the time which means that they had no excuse for getting something as simple as a steak wrong. The food was good but the atmosphere needs improvement. It had and old rundown feel to it. 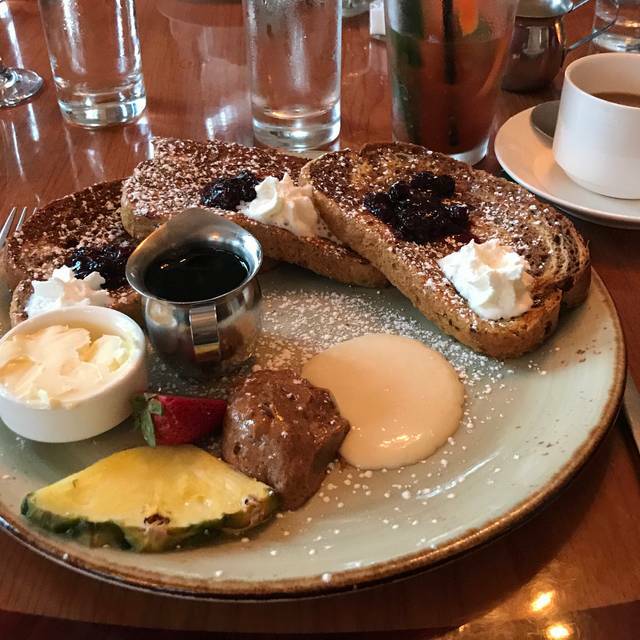 My husband and I enjoyed our recent brunch experience at One Bellevue. 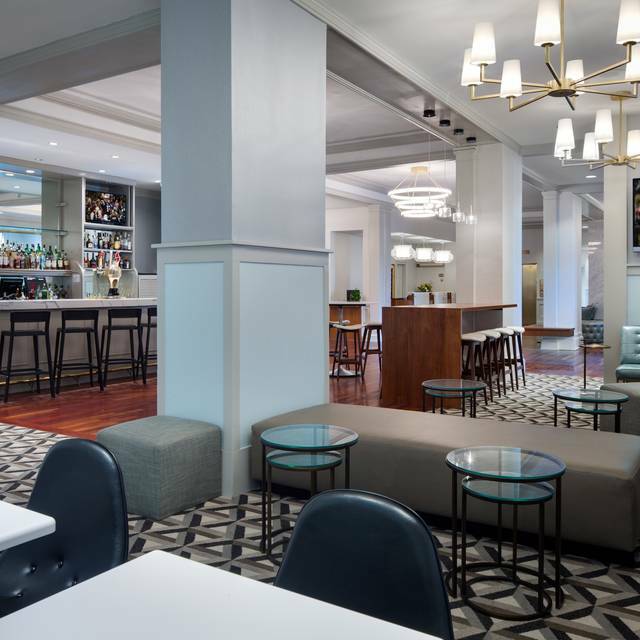 We had been excited when we heard that One Bellevue was now serving brunch. When we entered the restaurant we were pleasantly surprised to find a live band playing music for the diners. The music carried but was not too loud and did not hinder any conversation, which we appreciated. All of the staff was very friendly and professional. Our server provided us with great detail about the dishes on the menu when requested and we were happy with our selections. We were impressed by the new options on the menu and the speed and professionalism with which we were served. 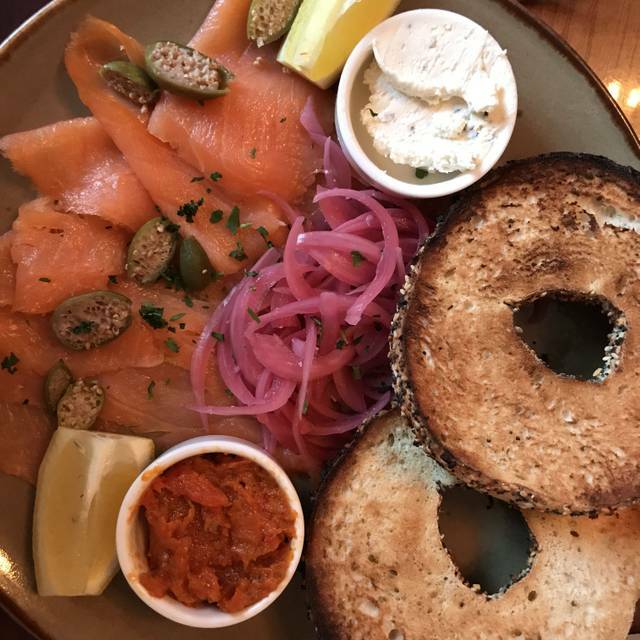 We will definitely be returning for brunch again in the future! Went for the jazz music. We went here for restaurant week, and were so impressed! The food was elaborate and delicious, and well presented. Drinks are quite pricey, but well-made with quality ingredients. After ordering the "Viking Grand Chowder" -which was excellent!- we were very disappointed with our entrees. Being gluten intolerant, I chose the "Atlantic Salmon." I was very interested as the menu described the salmon had been "marinated in molasses" would be served with "buckwheat soba noodles." When my dish arrived, it was served over regular wheat flour noodles, and the salmon looked like it had been boiled. I expressed my concern, and the server told me they had run out of the advertised noodles. She offered no explanation as to the salmon having no molasses. My husband chose the "New Bedford Scallops" which the menu described as served with ""spring pea lobster risotto, and cardamom carrot broth." His dish had no peas, and certainly no cardamom carrot broth! We dined there 2 months prior and had their "Tuna Tartare" follwed by their "Seafood Paella for 2" and were very impressed. After that first visit, we decided to dine there for our 27th wedding anniversary. Needless to say, we were very disappointed with the entrees we were served during our second visit. We felt it was nothing short of false advertising, and so we will not go back. We really enjoyed Sunday brunch. The menu is diverse and we all enjoyed our choices, from eggs to French toast to bagels to a burger. The music is really nice, perhaps a bit loud in volume for easy conversation. We’ll be back! We went here for an early valentine’s celebration. The food is pricey but we used a food certificate and ordered all the appetizers. The oysters were from buzzard bay and they were so sweet and nicely shucked. Our waiter was very enjoyable! I was very disappointed with the scheduling. The Viking Hotel's website said that afternoon tea is from 2 to 4 daily, so I made a reservation on Open Table for 2 p.m. on Sunday. We walked in and there was a jazz band blaring so loudly you couldn't hear yourself think. Nobody greeted us as we walked in. I had to approach a group of three waitstaff, all of whom were nice, but who looked disorganized and disheveled, and had a hard time making eye contact with any of them. I said we were there for tea and had reservations, and was told that on Sundays, tea starts at 3. I had to drag her to the next question of: "Then can I make a reservation for 3 p.m.?" She said yes, so I did, and my friend and I went and killed time until 3. We came back around 2:50, the band was still blaring, and we were ushered in right away, which was nice, but then I saw three other tables were already seated. So they didn't open at 3, they opened earlier than that. That part of the experience was really poorly done, very cheesy for something that's supposed to be sophisticated. I will say that once we were seated, the service was great and the food was delicious. Enjoyed our meal, wait staff was attentive and the manager stopped by to see if all was well. We had the scallops and the duck. Enjoyed both. We went to New Year’s Eve here it was unimpressive. The service was the glaring flaw in an otherwise pleasant evening. It was so slow that, after 2 hours, we had to request the bill instead of enjoying dessert and coffee. The food was good, but underseasoned (NOT something I am used to experiencing as a minimalist myself in that regard). My guests enjoyed our time together and the potential of utilizing valet parking was a HUGE benefit as 2 of the 4 of us suffer from serious mobility challenges. As always, a great experience! Great food. Excellent service. The location was nice, a modern flair in a historic style building. Services was good, and tea services was served at a good pacing, and they had a harpist playing holiday music. 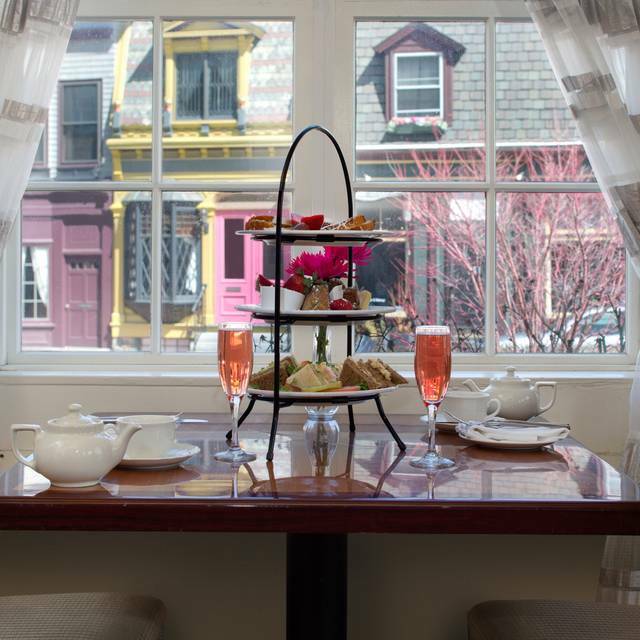 The only thing I would change was that 2 of us ordered tea service, but the scones and sweets each came in odd numbers. I don’t know if they were under staffed or the wedding going on took away all the attention, but this was a horrible experience. It took forever just to get drinks and I had to flag someone down just to get a water refill. The appetizers were good, but the main course was another story. We got the lobster Mac n Cheese, which is listed under Chefs Signature Dishes. There were 4 of us and we all got this dish. It came out in a soup of milk and cheese. It literally looked like a bowl of cereal that’s how milky it was. When we asked the waistress if this was right, she only said “I can take it back and have them fix it”. Which lead us to believe it shouldn’t look like that and she took it back to the kitchen. When she brought it back it was much cheesier, but literally ice cold. We called her back over and she touched the plate and said, “that is cold, but the kitchen has no heat currently and it’s as cold in there as it is outside”. This was a bit of a shocking statement to nonchalantly make, but she took it back again and when it came back now for the 3rd time it was lukewarm and kind of dry. They never actually made a new plate and kept trying to fix the plate without ever explaining what was going on and no real apology. No manager or anyone came by and we were still charged the full amount for an expensive dish that we had to keep sending back. Maybe this was an off night, but it was so bad that I had to write a review. It wasn’t that the food overall was bad, but it wasn’t great and it seemed like nobody really cared or put any effort into making it a nice experience. Six of us spent 3-hours at "restaurant week" dinner. Something happened with our orders that delayed them almost intolerably. We watched as a foursome arrived at an adjacent table after we had ordered. They were served, ate, paid, and departed before our entrees arrived at our table. The restaurant was only about half-full. To their credit, they refilled our drinks on the house. We were among good friends, so we weren't too put out, but the delay was extraordinary! I took my girlfriend to Newport to get engaged and our flight home was on Sunday afternoon, so I made a reservation for brunch at what was marketed as a very nice Sunday brunch. Unfortunately the room for brunch is small and attached to the general breakfast room for hotel guests. The result is that there are only two tables for two in the brunch area looking out onto the patio. When we arrived, there were no signs in the lobby indication where the dinning room was and had to wait to ask a desk clerk. Then there was no host/hostess to check us in. When we were eventually greeted by a waiter, we were told we had to wait for a table as they would not seat us at one of the open tables for 4 or 6. Unfortunately due to the layout of the brunch and general dining areas, when they cleaned our table a couple from the hotel buffet walked into the brunch seating and took it. We again would not be seated at a larger table and had to wait while they negotiated for the other couple to leave. Although the food was good and the patio view was nice, the general disorganization of the affair left a bad taste. It also didn’t help that some of the wait staff in the non-brunch area had a loud discussion about other staff. They were talking over the hotel guests in the other room. Needless to say it was the lone disappointment of the entire trip. Sorry, we expected elegance and class and didn’t find it here. Would not recommend for any reason. Service bad, food was bad, even drinks were bad...music in lounge are was terrible. Young band that could not hold a note. Coffee was Lukewarm. Bread pudding mediocre. Halibut was fresh but risotto was fairly tasteless. Scallops were good and fresh but again risotto tasteless. Vodka gimlet was very good! One Bellevue serves up some great food items especially the mussels. Service was also fantastic.